This game is just made for those, whose vision of football and entertainment differs from others. Choose your favourite football team and try to score more goals, than your opponents. You still have time to take participation in the main football event of the year. 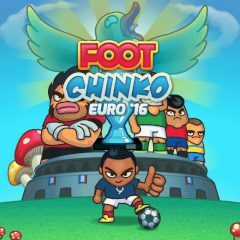 Euro 2016 has brought us so many emotions already, but you can achieve more by helping your team in this game. Choose your national team and lead it to the victory. However, the rules are completely different here, but you'll manage to use them right.